The adventure begins when the road ends…it’s never quite what you expect. Everywhere you look, God’s work is evident. It must be seen in person to appreciate. Participating in a HFHF trip helps you understand what we do and why we do it. You’ll find while working to positively impact Haiti, Haiti unfailingly reciprocates tenfold. Our trips focus on several key areas. Click any of the tabs above to learn more. Medical Trips are conducted in Zorangé, Haiti at the Zorangé Primary Care Clinic. The clinic serves about 50 patients a day from the surrounding areas and is run by our Haitian nurses and their team. Complete with a laboratory and pharmacy, this clinic is exceptional for its rural location. Medical Trips help us to equip Haitians to help themselves by working closely with our Haitian medical staff to ensure they can provide the best possible care to the community. Travelers will work alongside our Haitian nurses in the clinic to see patients during the morning, and in the afternoon will participate in trainings with our Haitian medical team. The basic trip outline involves 3 days of travel and 5 days of clinic/trainings. Educational Trips are conducted in various regions of Haiti, including Zorangé, Gonaives, and Miriguane. HFHF works with teachers at our school in Zorangé, as well as with 45 other schools throughout Haiti to ensure the highest level of teaching instruction for the next generation of Haitians. Travelers will work directly with teachers in workshop format to train on various teaching topics, such as conducting parent-teacher conferences, science experiments, or working with special needs students. Between 30 – 100 teachers participate in workshops over a 3 – 4 day period. Typical trip schedule involves 3 days of travel and 3 – 4 days of workshops. Our Vision Trips are designed for first-time travelers and those who do not have a particular skill set to share in Haiti, but want to be a part of what HFHF is doing in Haiti and the U.S. This trip will allow travelers to see the work what HFHF has accomplished over the past 10 years, and what our vision is for the future. Travelers will be able to assess how they can be part of our future vision. Travelers will interact with our school, clinic, church, and the Haitian community. Project Trips are designed for groups that want to travel to Haiti to complete a project, such as building a playground or distributing water filters. Groups select a project in collaboration with HFHF, and work to raise funds for this project. 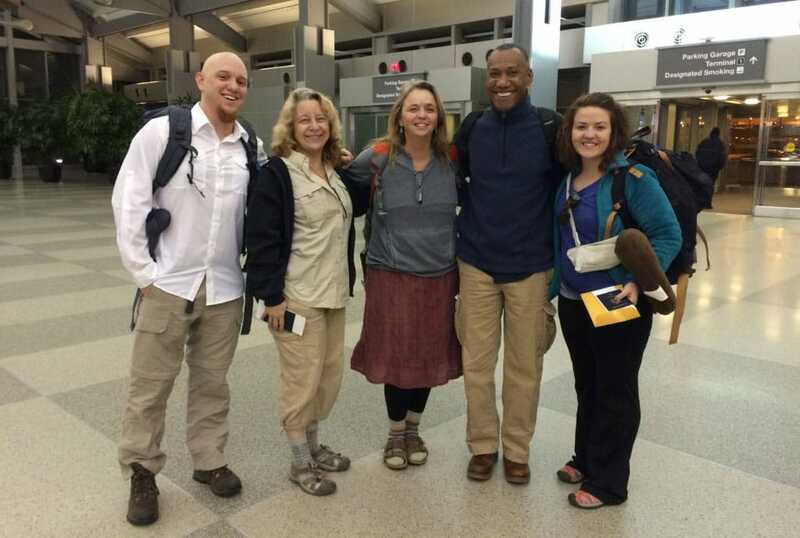 Once funds have been raised, the group travels to Haiti to implement the project. These trips are ideal for church missions groups, youth groups, college spring break trips, or other group travel. Must raise the full amount of money to implement one of HFHF’s upcoming projects, along with funds to travel to Haiti as a team to implement the project. See list of projects. Are you a marketing/communications professional? Join our trips! If you’re interested in participating in any of our trips, please review the Trip Manual, Trip Application and Trip Waiver. For any trip questions not addressed in these documents, email us.